"Comfort. 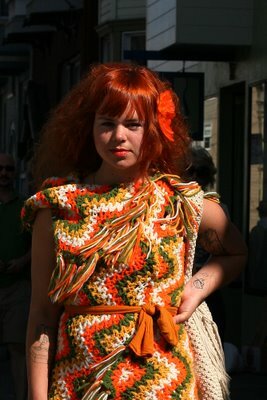 I wear color all the time, this is a really cozy outfit for me, it's an afghan." I'm a big fan of the homemade, the knit, the diy (not to mention a big fan of color) and though I'm not sure Machine made the afghan itself, she did make the dress out of it. 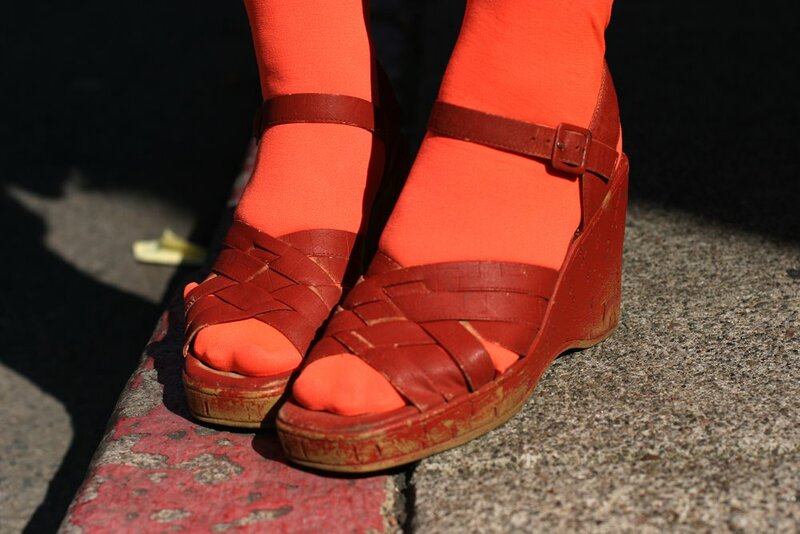 Orange tights giving the leather platform sandals an orange cast. Her dress and hair and so fantastic. she is like a mission dolores barbarella.